The application uses the asynchronous speech recognition mode since the input audio is longer than a minute. Create a new Google Apps Script project, go to Resources > Cloud Platform Project to open the associated project in the Google Developers Console. 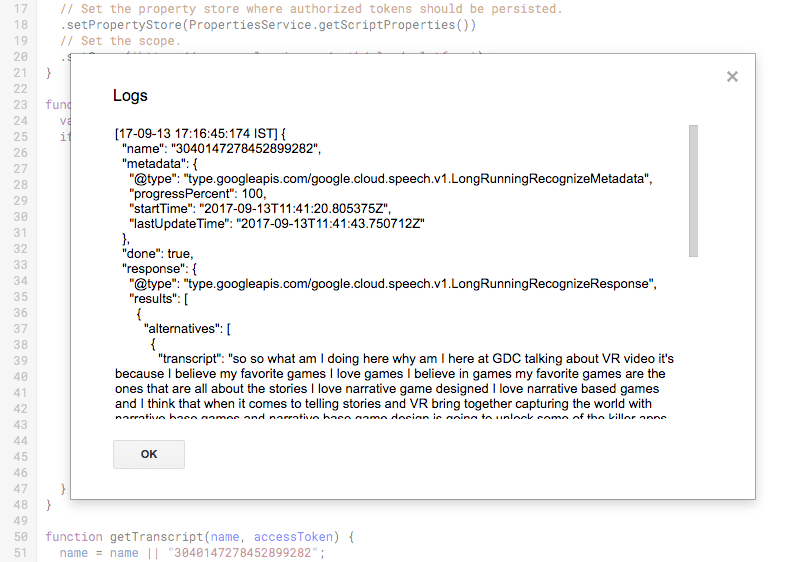 Go to Libraries and enable the Cloud Speech API. Go to the Credentials tab, create credentials and choose Service Account from the drop down. 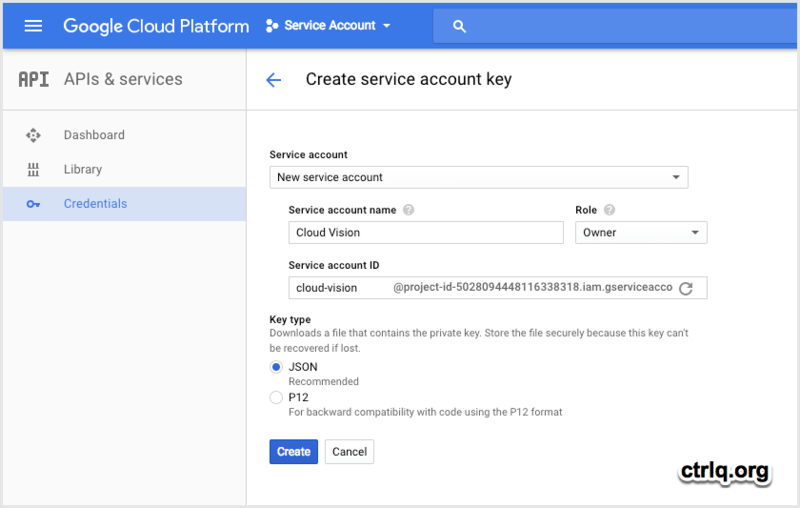 Set the service account role as project owner and save the JSON private key file to your Google Drive. Paste this code in your Google Apps Script editor. Remember to change the location of the audio file in Google Cloud Storage and the location of the service account key in Google Drive. Authorize the code and, if all the permissions are correctly setup, you should see the audio transcript in your console window as shown below.